The Sport Car Top Carriers are 100% waterproof and attach to vehicles WITH or WITHOUT a roof rack! The aerodynamic Sport Car Top Carriers are available in (3) sizes to fit any size vehicle, WITH or WITHOUT a roof rack. Attach the carrier’s straps to a vehicle’s roof rack or use the Car Clips to attach the straps to a vehicle’s door frame weather molding. 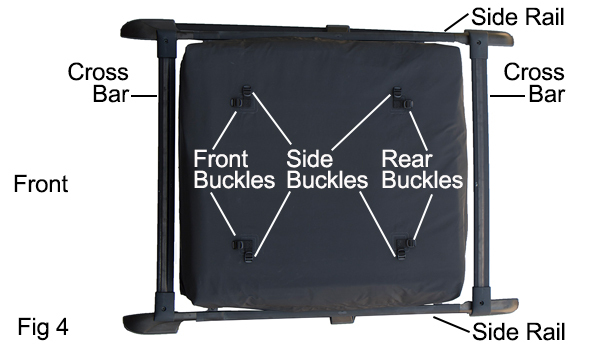 The Sport Carriers’ ZipRight System locates a urethane coated zipper on the protective zipper flap, preventing rain water from entering the carrier. 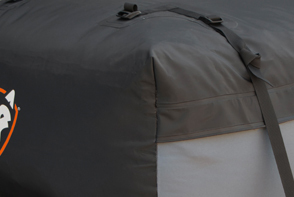 Other roof top carriers feature a standard zipper located where the zipper flap meets the bag, allowing rain water to enter the carrier. WARNING: This product can expose you to chemicals including Di (2-ethlhexyl) phthalate (DEHP), which is known to the State of California to cause cancer and birth defects or other reproductive harm. For more information go to www.P65Warnings.ca.gov. 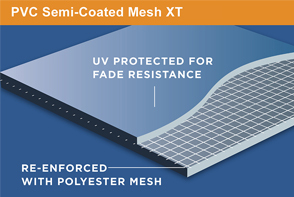 The carriers are constructed from UV protected PVC Semi-Coated Mesh XT and Hydrotuff using Dual Seam Technology. 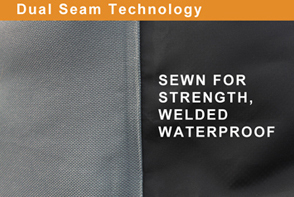 The materials are sewn together for strength and then welded along the stitching to make the seam waterproof. 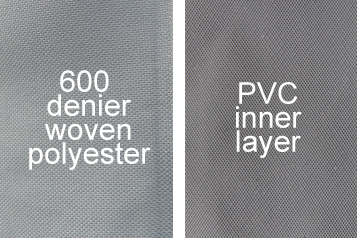 The end result is a highly durable cargo bag that lets you travel with the peace of mind that your gear will stay dry. 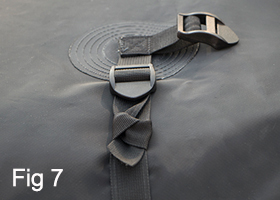 After use, the Sport Carriers fold down for storage in a stuff sack, complete with a sewn in set up guide. All of the Sport Car Top Carriers are aerodynamically designed to save $$$ at the gas pump. Use the carriers on your next family vacation, backwoods expedition, shopping spree or move. 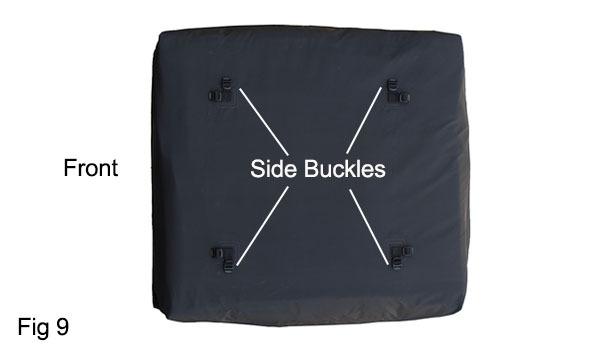 Unzip the carrier and place it on top of the vehicle with its non-zippered end facing front. Load your gear within the aerodynamic shape of the carrier; shorter in the front and taller in the rear (Fig 1). Place sharp edged items in the middle and softer items around them. Close the zipper as you fill the carrier from the front to the rear. Fold the protective flap down to secure the hook-&-loop closures (Fig 1 and Fig 2). Make sure the hook-&-loop closures on the zipper flap completely overlap those on the carrier. If it is difficult to secure the closures, the carrier is over packed. 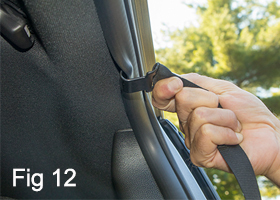 Tighten the straps evenly (Fig 13 and Fig 14) and shut the vehicle’s doors over the clips/straps (Fig 15). 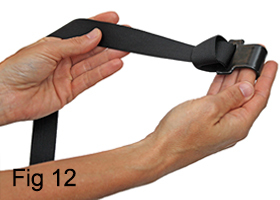 Tie off the strap ends so they don’t flap in the wind (Fig 16). Make sure to re-tighten the straps after a few miles and check them regularly throughout the trip.